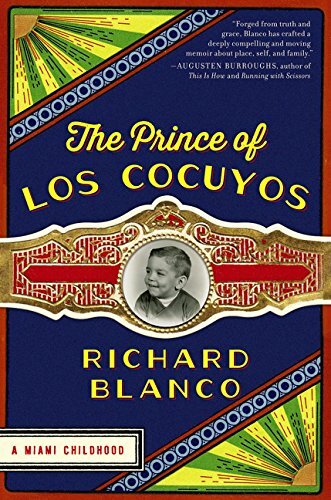 The Prince of Los Cocuyos is hands-down the best memoir I’ve ever read. Richard Blanco does absolutely everything right. Each chapter tells a single story small enough to be fleshed out in full detail, but themes of belonging, family, and finding your place stretch effortlessly throughout each one, connecting them all into a resoundingly satisfying whole. The book is about Blanco’s childhood, growing up a Cuban immigrant in Miami, but underneath that, it’s about complicated love-hate relationships with relatives, realizing from a young age that you’re different but not knowing what to do about it, and finally growing into yourself and figuring out who you want to be in this world. The poignance of Blanco’s stories made my heart pinchy. Remember what it felt like to be a kid? Things were beautiful! Exciting! Extraordinary! Remembering that simple joy and, yes, also the disappointment and hurt when things didn’t work out gave me all the feels. Everyone who is a person should read this book. Highest possible recommendation.